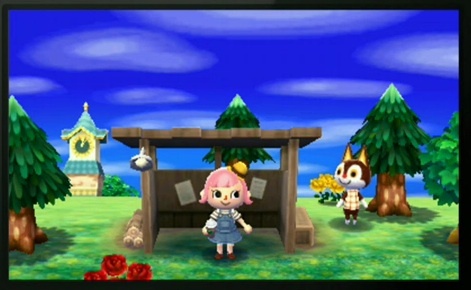 Would you download a freemium Animal Crossing if it meant building your own village? Looking ahead, it's not a question of whether Nintendo will enter the freemium realm, but when, and how. With several publishers achieving success on the iOS App Store, there may come a point where Mario and Co. follow a similar route with one of the company's more beloved franchises, and in our humble opinion, said franchise should be Animal Crossing. Is it time for Animal Crossing to evolve? Quite frankly, and as much as we love it, the Animal Crossing series could benefit from more expansive ideas. Nintendo has done its part to make slight adjustments, but ultimately, the core experience remains largely unchanged. Get a job, buy a house and then complete missions around town. Even the upcoming 3DS installment, Animal Crossing: Jump Out, is more extension than reinvention. A sushi bar, the ability to swim and K.K. Slider spinning on a DJ turntable don't scream significant achievement. Don't misinterpret those words as hateful. We're not out to tear down Animal Crossing, but it's clear the IP could use somewhat of a reboot, and the freemium model may provide just that, with the opportunity to build your own town from the ground up, similar to Electronic Arts' popular iOS effort, The Simpsons: Tapped Out, which lets users construct their own versions of Springfield. At least this way, you'd have full control, a first in an Animal Crossing title. Ideally, you'd be able to map everything, placing trees, buildings and other set pieces wherever you want. This way, no two villages would be alike, and online connectivity would allow friends to pay a visit. We'd also like to see a feature where players design their own outfits and wallpaper patterns and then sell these items on the Animal Crossing market to other players for bells. We can only imagine the excellent designs the community would dream up. Granted, how Nintendo balances this game's free-to-play structure with in-app purchases is a little tricky. Considering its history of providing great value to the consumer, releasing Animal Crossing free-of-charge and then tacking prices onto things is a slippery slope. Ideally, players would receive enough content to build their own villages, then splurge on premium items for use in game. Meanwhile, that core Animal Crossing experience would be alive and well, as gamers interact with a variety of anthropomorphic creatures and tend to their every whim. Tom Nook is already in real estate. Maybe it's time to partner up. On that note, a freemium Animal Crossing represents a huge risk, but one Nintendo should consider taking in the years ahead, particularly on Wii U, where the tablet-style controller would make village building a snap. Bottom line, if EA could do this with The Simpsons, the sky is the proverbial limit for Nintendo.